“Right next to the boulder there!” he sings. 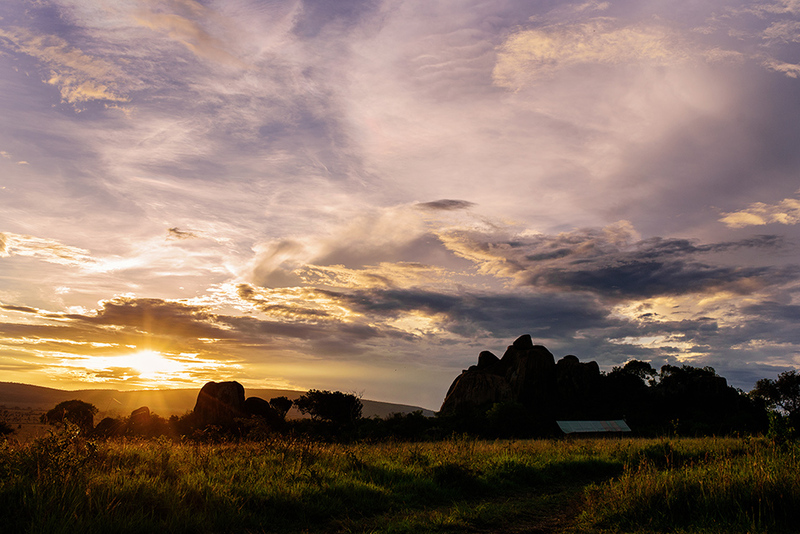 This is life in a private, moveable camp called Serengeti Safari Camp. The camp moves about every six weeks to follow the migration. Where the wildebeest and zebra are, the predators follow. Once again, the camp employees went over the rules of the camp with us, as they had at our other two camps. No walking alone and no leaving the tent at night. At this camp, however, there were two more rules. No sudden movements and walk in a single file line with the kids in between adults. 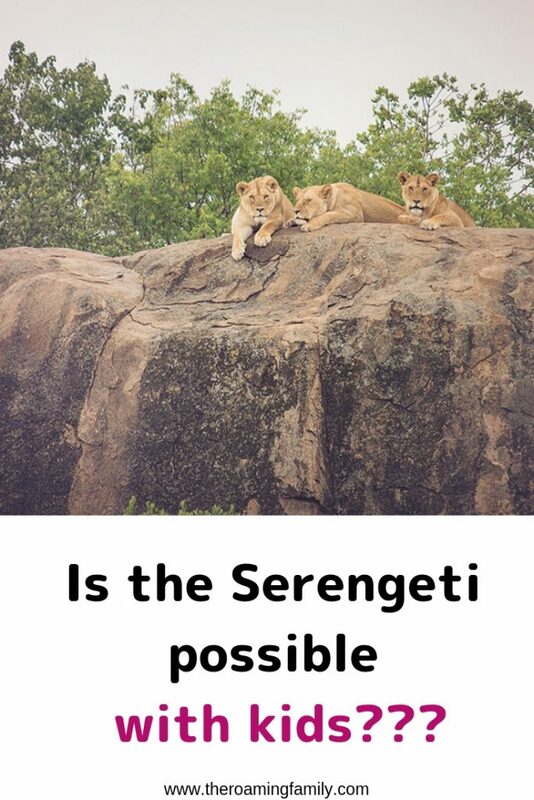 (Because I’m sure we would be able to fight off a lion no problem). While some of the men brought our bags over to our tent, we were given a tour of the main area. Just as beautiful as our other camps, this main “lobby” was a little more rustic because of the camp’s rotation around the Serengeti. Still tastefully decorated with African rugs and gorgeous furniture, the main room had a “glamping” feel to it. A large bookcase held books about Tanzania and board games. A charging station was subtly hidden within the bookcase for guest electronics. Just next to the sitting area was a “porch” with a few large bean bag type chairs and rocking chairs. A bar was present, of course, with a wide variety of wines and a large cooler held beer and soft drinks. Guests were invited to help themselves. Just past the bar were a large communal dining table and a buffet table for food. Hanging chandeliers completed the look. The entire main area was open on all sides. We loved it just as much as our other camps. We had the family tent at Serengeti Safari camp, which consisted of two adorable rooms, connected in the middle with a little lounge area with a couch, right in front of a window to look outside. These tents didn’t have wall hangings and amazing chandeliers but we still felt spoiled. Beds with cute bedspreads, a desk with drinking water, two bathrooms with running water (another shower with bucket showers that we need to order from the camp employees) and two toilets. The toilets were composting toilets but neat and clean. As usual, the shower had soap and shampoo and conditioner. We dumped our stuff and changed, ready for to relax and get ready for our first “sundowner” – a drink by the fire, while watching the sun set. This was what Serengeti Safari Camp with family was all about! We walked back to the main area (looking over our shoulder at the 4 lions the whole time) and grabbed a drink from the bar. The camp had already started a fire and had some chairs around it, waiting for us. We settled in and prepared for the sun to go down. Amazing is the only way to describe it. The sun going down over the Serengeti, hearing hyena’s in the distance and basking in the warmth of the fire was such an experience. 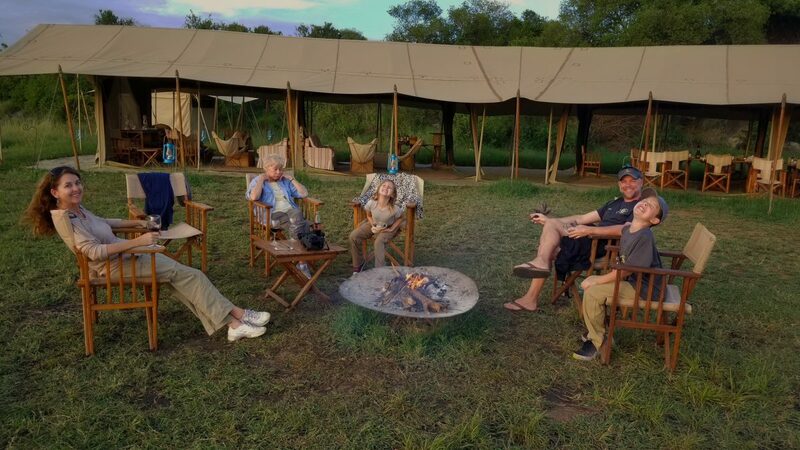 We met two other couples during our time by the fire and talked about what animals we had seen, what we were still hoping to see and our experiences in Tanzania. 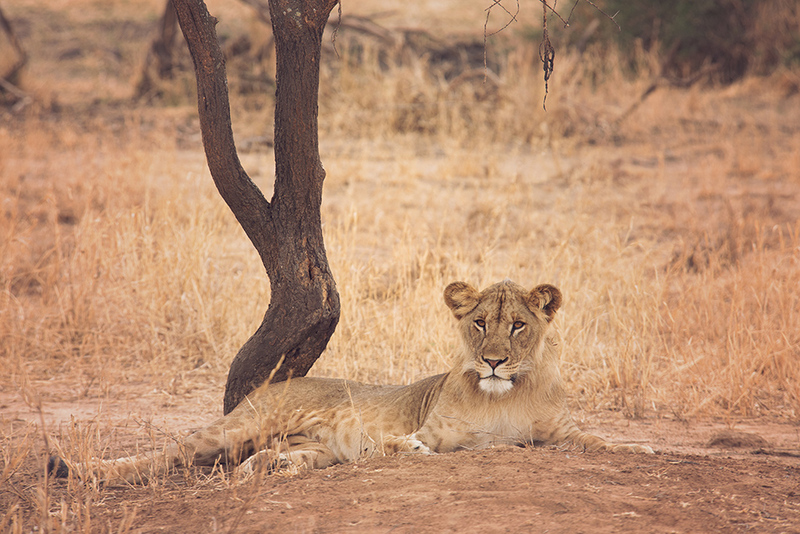 During this time, the guides at the camp were standing just outside our camp circle, shining flashlights into the bush, looking for wild animals such as lions, cheetahs and hyenas. It was scary and exhilarating at the same time and truly a unique moment during our trip. 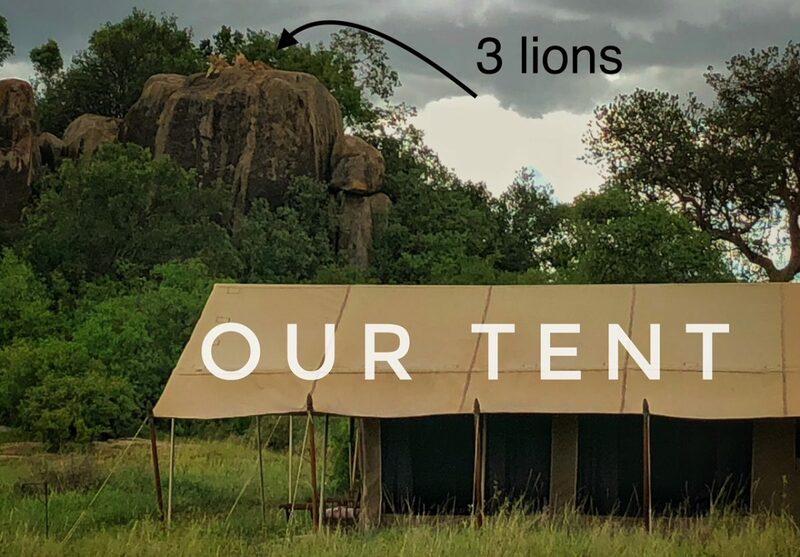 As usual, we were served a scrumptious meal that evening and we retired to our tents – where we listed to lions grunt and hyenas howl all night long. That is a sound I will never forget as long as I live. Our first morning began at 5:30, when we were served our coffee and hot chocolate. Safari began early on this day at 6am. 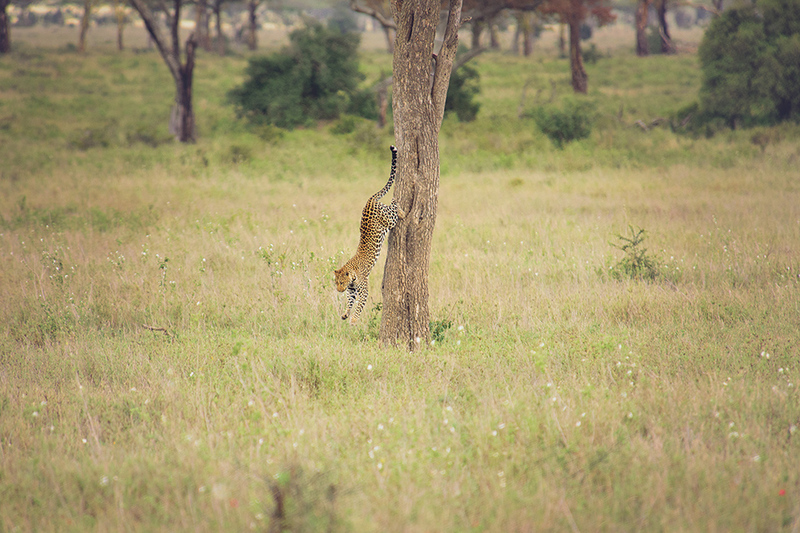 Our goal for the day was cheetahs because we had only seen one during the trip. 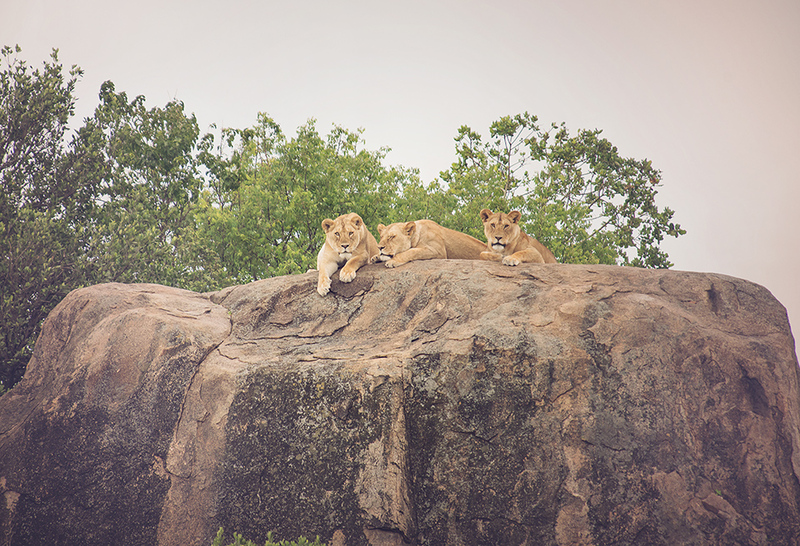 Our morning drive didn’t give us any cheetahs but it gave us a ton of lions and several leopards (none of which would we have spotted without our amazing guide). 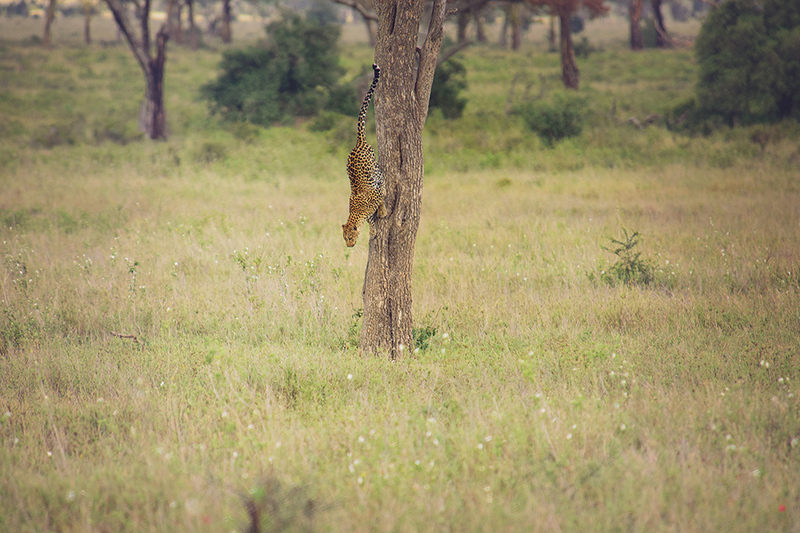 One of the leopards gave us quite a show, walking around the tree and then jumping down before disappearing into the bush. The remainder of our day passed in the usual lazy fashion. Filled with yummy food, reading and naps. 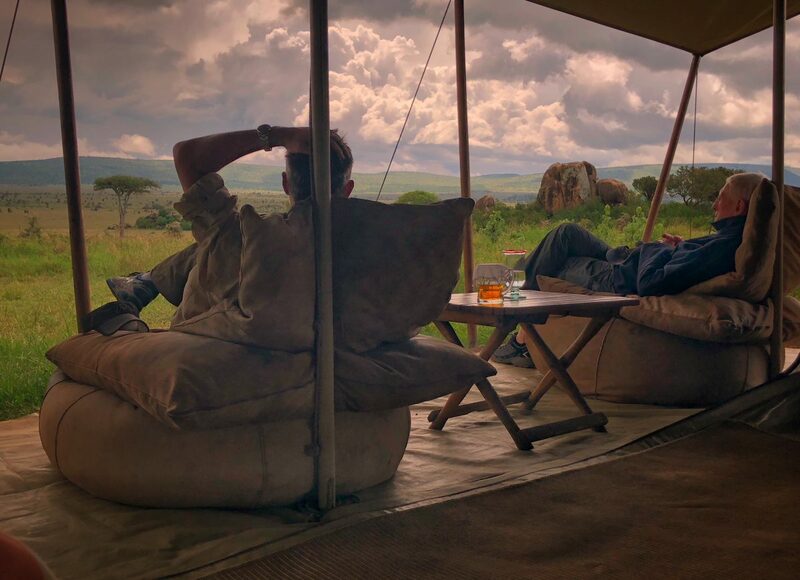 The kids spent time writing in their journals and Keith and his father spent time sitting together and looking out on the Serengeti. We marveled that we couldn’t believe our luck during the trip. Luck at seeing all the animals we wanted to see, luck that we had the most amazing guide in the universe, luck that we had found these amazing private camps and luck that we were there in the first place. 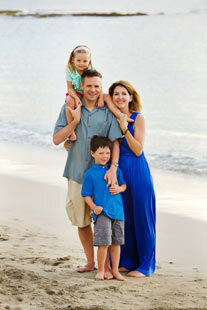 We were thrilled that we could share this experience with our children. I always said that our safari was going to be a once in a lifetime experience, but I can’t say that anymore. Because we plan to do it again many more times in our lifetime. 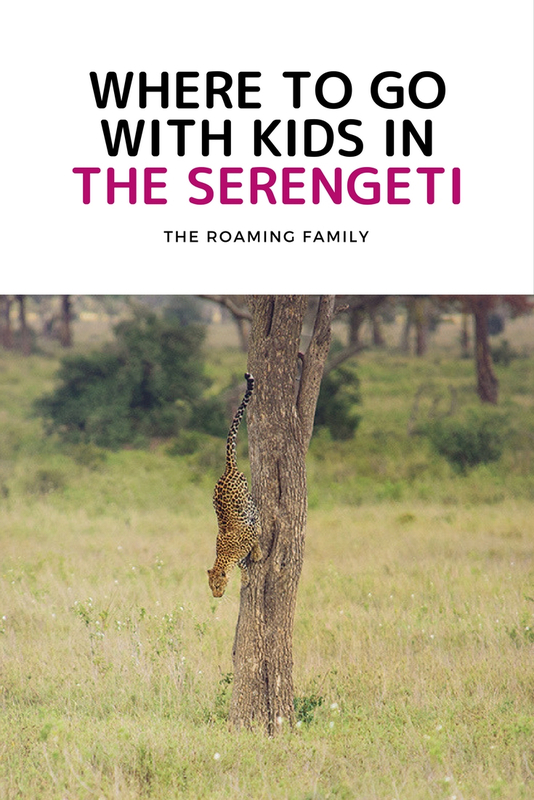 Burning desire to go to Tanzania with your kids? I can help! Contact me here and I’ll get in touch! Hi, I am Diana from Portugal,and we have this year the opportunity to do a month vacation in July or August with 2 children’s (8 and 2 years old). It has to be safe and healthy and confortable and cheap because. 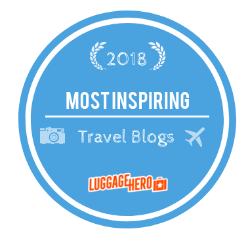 our oldest can’t eat legumes or take regular malaria pills… but we want to Shaw simplicity and humble and such different culture to them and different bonds between people when they have less and less… how can we make this trip possible? Hi Diana! Sounds fun. Allergies aren’t a problem at most places. I will contact you!